Canada Rubber Group - Segovia Advertising & Design Inc. 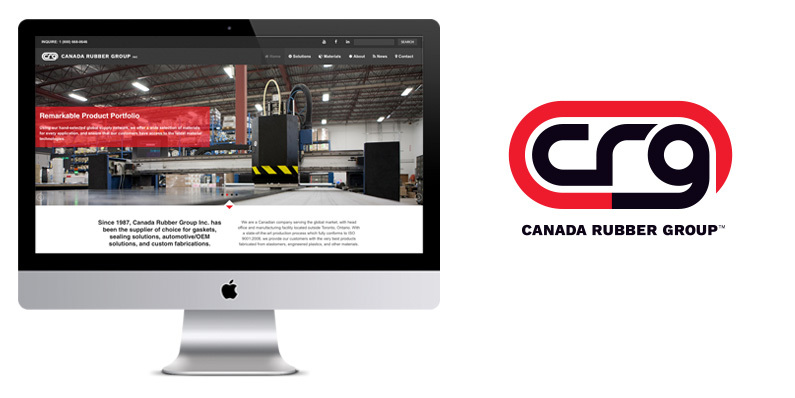 Since 1987, Canada Rubber Group Inc. has been the supplier of choice for gaskets, sealing solutions, automotive/OEM solutions, and custom fabrications. CRG decided to invest in a brand refresh process in order to better reflect their position as the market leader in their sector. The identity process starts with a thorough exploration and research phase learning and understanding the business touch points, strategic direction and value proposition. Before starting any visual ideation, the client’s business, values and strategy for the future must be understood. The brand refresh process resulted in a new and fresh brand signature that elevates CRG’s position as market leader. The design is timeless, modern and sleek. It is visible, confident and highly impactful at all sizes in any environment.